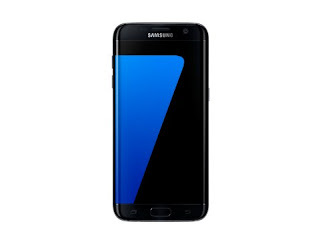 Stock Rom Firmware Samsung Galaxy S7 EDGE SM-G935F Android 7.0 Nougat BTU United Kingdom Download - Samsung's latest flagship phone Samsung Galaxy S7 Edge make a dual-curved screen. This device also has certifications IP67 that makes it not only dust-resistant but also waterproof. This Smartphone also has Twin SIM slot that allows users to use two networks simultaneously. Samsung Galaxy S7 Edge Quad-screen showcase out Super AMOLED Quad HD 5.5 inches with an excellent vantage point. The screen is very clear and the resulting color is very much alive so that it presents a unique visual experience. Users can look forward to enjoying video and games like never before. At the top of the screen, equipped with the protection of Corning Gorilla Glass that makes the device free of scratches. It was entered into the Smartphone market with 12-megapixel camera autofocus LED flash combined with dual-tone capable of capturing stunning images and video. Stock Rom Firmware Samsung Galaxy S7 EDGE SM-G935F Android 7.0 Nougat BTU United Kingdom Download - LED flash two-tone can be used for low-light photography. Selfie lovers need not to feel sad because there is a 5-megapixel front camera. Users can expect a clear video call experience through the front camera. So that everything remains smooth, smooth performance and enable multitasking which is easily the device comes with an Exynos chipset 8890 octa-core 4 GB RAM plus. In addition, the chipset is also embedded with technology HMP (Heterogeneous multi-core Processing) which is specially designed to ensure perfect performance. For storage, there are 32 GB internal storage space lets you store applications and other personal files such as music, videos, pictures, etc. In addition, Samsung Galaxy S7 Edge also has an expansion slot that can increase further storage. For connectivity, there are a variety of options that help you stay connected no matter where you are. Connectivity options include 4 g, Wi-Fi 802.11 a/b/g/n/ac, 4.2 Bluetooth, GPS, NFC and micro USB port. To provide security, this device is equipped with a fingerprint scanner is fast and smooth. Samsung Galaxy S7 Edge powered by a Li-ion battery is Non-removable 3.600 mAh. In the front part of the software, a smartphone running the Android operating system 6.0 Marshmallows out of the box with TouchWiz UI at the top. Flashing Stock Rom can help you update to a newer version of Android or longer, fix bugs, remove your mobile device, delete the root access and image restoration particular, etc. This is the official page, from which you can get Stock Rom Firmware Samsung Galaxy S7 EDGE SM-G935F Android 7.0 Nougat BTU United Kingdom Download from the link below and use the flashing Guide at the end of this post to flash the firmware on your device. Thank you for visiting us and do your first visit! We're glad you've found what you're looking for. It is our goal to ensure that you are always happy with what you get from our blog, so please let us know if the link is broken or file Stock Rom Firmware Samsung Galaxy S7 EDGE SM-G935F Android 7.0 Nougat BTU United Kingdom Download is not working very well please leave a comment. 0 Response to "Stock Rom Firmware Samsung Galaxy S7 EDGE SM-G935F Android 7.0 Nougat BTU United Kingdom Download"